...Once upon a time there existed a Kingdom unlike any other. Imagine for a moment a place where everyone was happy - I mean truly happy. That was the way things were in the land of King Gerhardt...and that is the way things should have stayed. One day, however, inconceivable treachery befalls the King, bringing change that none could have forseen. 'What sort of change?' you ask. A phenomenon at times humorous, yet potentially insidious in nature: THE BIRTH OF COOL. Follow the adventures of Prince Frederic, Princess Isabelle, Charlotte, Archie, Gabriella and Og to find out what will become of this strange dilemma. 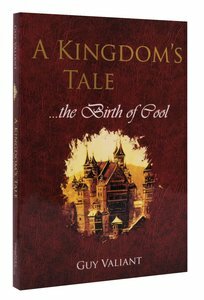 As you read Guy Valiant's A Kingdom's Tale, let the story draw you into your heart...the place where miracles can occur. Customer Reviews For "A Kingdom's Tale"